1) The described Itinerary may be subject to change depending on weather conditions. 2) Please note that at this moment this is a tour programmed proposal. No reservations have been made. Only upon confirmation in writing of the above tour programmed will we proceed with actual bookings. 3) Accommodation in hotels is subject to availability. If the listed hotel is fully booked, alternate accommodation will be booked within the same hotel category without surcharge/reduction. If no hotel in same category available, we reserve the right to apply a surcharge for any higher category, respectively a reduction for any lower category. Note: We are pleased to offer 1 FOC in SINGLE room for tour leader at 15 paying pax (15+1 FOC). Surcharges or compulsory meals may apply for holiday periods like Christmas, New Year, Water Festival, etc. Note: All airfares are subject to change without prior notice by the airlines. AM - On your arrival at Yangon International Airport, Smart guide will warmly welcome you and transfer to your hotel depends on room available for check-in. 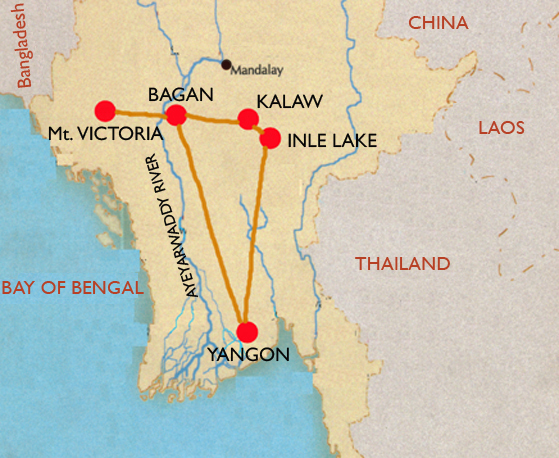 Yangon, formerly known as Rangoon, was a capital of Myanmar in 1886-2005. Its impressive colonial and spiritual heritage makes it one of the most fascinating cities in Southeast Asia. PM – your sightseeing starts with a visit to Chauk-htat-gyi Paya, where houses a 70m long huge reclining Buddha Image. 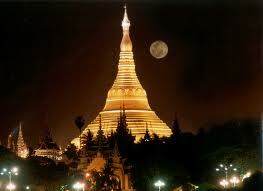 Continue to a special to Shwedagon Pagoda, the most sacred Buddhist Pagoda in Myanmar. It legend say that it was built since 2,600 years (in the Buddha life time). The main stupa is 98 meter height and gilded with gold plate and is surrounded by 64 small stupas. Ending of the day with strolling around China town and visit one of Chinese Temple. AM - transfer to Yangon Airport for your flight to Bagan (Nyaung U) ETD 06:00 / ETA 07:20. On your arrival at Nyaung U airport, meet with Smart guide. Bagan (Nyaung U) was the capital of first kingdom of Myanmar from 11th to 13th Centuries. King Anawratar was the founder of Bagan Dynastry who introduced Theravada Buddhism and from his reigned the rulers constructed thousands of stupas and temples. Many of them are still standing on the banks of the Irrawaddy River. On arrival, starts a visit to Shwezigon Pagoda for an introduction of Bagan’s rich history, Wetkyi-In Gubyaukgyi, a cave temple with exquisite jataka mural paintings and the huge Htilominlo Temple noted for its fine plaster carvings, Ananda Temple, the most beautiful temple and an architectural masterpiece of Bagan and observe a typical of Bagan’s traditional lacquer-ware art and one of Myanmar’s best-known handicrafts. PM – Enjoy a horse-cart ride passing among the antique temples and pagodas leads to one of the temples and pagodas to enjoy an unique sunset. OPTION: Start your morning with a hot-air balloon flight over the plains of Bagan. AM – starts sightseeing to the colorful local market and enjoy a cup of Myanmar Typical Tea at a local tea shop nearby. Then, drive to Mount Popa, an extinct volcano with a height of 1518 m, about 48 km (1 hour) south east of Bagan. Mount Popa has played and important role in Myanmar culture, religion and history since earliest times. Its shrine is dedicated to the worship of the 37 Nats, the Burmese ancient animist spirits. On the way visit a traditional village passing small settlements where men climb up the palm trees to collect the juice to make jaggery or liquor. Visit around the village and observe how to make jaggery (Myanmar’s Candy) and liquor at toddy climber’s hut. After that, continue to the base of Popa-Taung Kalat by car. As you leave Bagan’s outskirts, learn about nats and nat worship as you climb the stairs to the top of Popa-Taung Kalat. The view over the Myingyan Plain from the top of the volcanic peak is impressive (and the climb is optional!). PM – return to Bagan. Rest of the day is free at leisure at your hotel or car and guide at your disposal for additional sightseeing. AM – transfer to the airport for the flight to Mandalay ETD 07:35 / ETA 08:05. On arrival at Mandalay airport, meet with Smart guide and starts sightseeing in Amarapura to visit its beautiful spectacle Mahargandrayon (over 1,000 monks lived) monastery to observe Buddhist monks’ daily life, a 200 year-old U Bein Bridge which is the longest Teak Bridge (1.5 km) in the world and Traditional Silk weaving workshop. Continue to Mahamuni Buddha Image which is the second famous temple in Myanmar. Mandalay is known as for its fine art of making tapestry and traditional marionette, marble stone carvings, wood carvings and gold leaf making. Then check-in to your hotel for check-in. PM – Continue your city tour to Shwenandaw (Golden Palace) Kyaung, a teak monastery which is famous for its exquisite wood carvings, Kuthodaw Pagoda known as the world largest book. Enjoy the panoramic view and sunset from Mandalay Hill. Today’s excursion around Mandalay to the ancient capitals of Sagaing and Inwa. AM – Drive to Sagaing which cross over a bridge of Ayeyarwaddy river. First visit Sagaing’s typical market that less tourists sight. Continue to Sagaing Hill which is home for over 3,000 monks and nearly 1,000 Buddhist nuns and covered with over 600 white painted pagodas and 100 meditation centers. Visit Swan Oo Pon Nya Shin, U Min Thone Sae and also observe daily life of Buddhist Nuns at their nunnery. PM - drive to the Myit Nge River jetty then by small local ferry boat to Inwa, the former capital of Kingdom, Sightseeing by horse cart to the old teak-wooden Bagaya Monastery, Yadana Si Mee Pagoda, Alm-bowling making workshop and Mae Nu OakKyaung. Return to Mandalay in the late afternoon. AM - transfer to Mandalay Airport for your flight to Heho ETD 08:20/ETA 08:50. Arrive at Heho airport, meet with Smart guide then a scenic drive to Nyaung Shwe (approx. 1 hour). Enroute a short visit at the wooden Shwe Yan Pyay Monastery and its temple to explore a collection of Buddha Images. 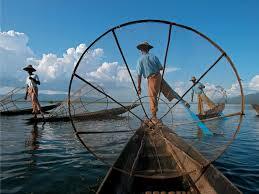 Inle Lake is the home for Innthar national race whom lived in a house built on stilts at the edge of the lake. Innthar people are famous for its unique leg-rowing of canoe and their floating gardens built up from strips of water hyacinth, cut weeds and mud which are anchored to the bottom of the lake with bamboo poles. The floating gardens can be detached and moved as necessary. PM – Upon arrival at Nyaung Shwe jetty, starts with a visit of Inle Lake by private local boat passing through small floating villages to Phaung Daw Oo Pagoda, the most sacred tample in the Southern Shan State in which there are five Buddha Images covered with gold leaf. Continue to Silk and Lotus weaving village of Inpawkhone and typical Cheroot making. Finish the tour with a visit to Nge Phe Chaung Monastery which house a dozens of Shan Buddha Images passing through floating gardens. AM – visit lake’s Five Day Market takes place every five days, making around the villages. This is not to be missed and provides opportunities to see surrounding hill tribes, such as Danu, Pa O and Palaung, who come to sell and buy their agricultural products. (Note: market is closed on full moon and dark moon days). Continue to the western bank of the lake reached by a boat along a narrow small canal to Inn Dein village of Pa-oh tribe. Walk to Shwe Inn Dein Pagoda Complex passing bamboo forest and visit the ruined 17th century stupas include beautifully carved mythical and celestial beings of stucco. PM – transfer to the jetty and drive to the Heho airport for the flight to Yangon ETD 16:25/ETA 19:15 and upon arrival, transfer to the hotel. AM – your sightseeing starts with exploring and walking from Yangon Post Office to the City Hall passing by The Strand Hotel and along the Pansodan Street for its famous historic colonial buildings and daily activities of local people life. Continue to White Elephant house and 500 tons of the world biggest marble stone Buddha Image. PM - visit Bogyoke Market, formerly known as Scott Market with its large collection of local handicrafts and other items (Note: closed on Mondays and public holidays) until transfer to the Yangon International Airport for your departure flight.